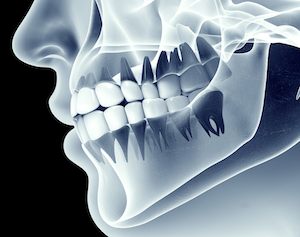 Home › Cosmetic Dentist › Sinus Pain Or Abscessed Tooth? An abscess is an infected pocket of pus in a tooth and/or the surrounding bone and tissue. The most frequent type of oral abscess begins in the pulp of the tooth and is often caused by cavities. When an abscess is small, it may go unnoticed but it will eventually cause pain. Sinus pain usually manifests itself as a dull, continuous pain while the pain from an abscessed tooth increases in intensity. If you tap on an abscessed tooth, you will possibly feel a sharp zap of pain. Call Advanced Cosmetic & Laser Dentistry if you have pain in your upper jaw and lower sinus area. An abscessed tooth should never be ignored. If it’s a sinus infection, your doctor can help you. This is a situation where you need advice from both your dental and medical care provider. ‹ Seeking A Relationship In Seattle? Use the form below to ask a question about Sinus Pain Or Abscessed Tooth? and one of our expert team members will get back to you shortly.